What is an anchor flange? 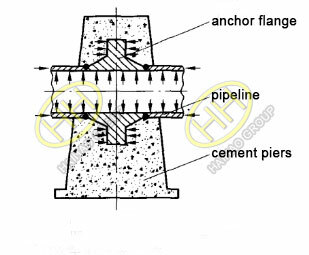 Anchor flange is an important supporting member of large diameter,high pressure and long distance gas or oil pipeline.It is mainly welded on the gas (oil) pipeline,fixed with cement piers,and partially or completely buried underground.Anchor flange looks like weld neck flange with shape,and the weight can be estimated according to two weld neck flanges of the same size. In places with low pressure,short pipes can be used instead.For connections of fixed pipes without maintenance for life or required burial underground and require high pressure,conventional flanges cannot ensure safe and reliable work of high-pressure pipes.Anchor flange is a kind of axisymmetric ring body with flange.The two sides of the flange are symmetrical flange necks.The ends of the two flange necks are respectively welded with the pipe ends and embedded in the anchor pile.The two flanges connected by bolts are combined with the existing technology,the sealing gasket is cancelled, and an integral flange is made,which is connected with the gas transmission pipeline by welding, and fixed by its flange and flange body and anchor pile,so that it can be used to fix the connection of pipelines. 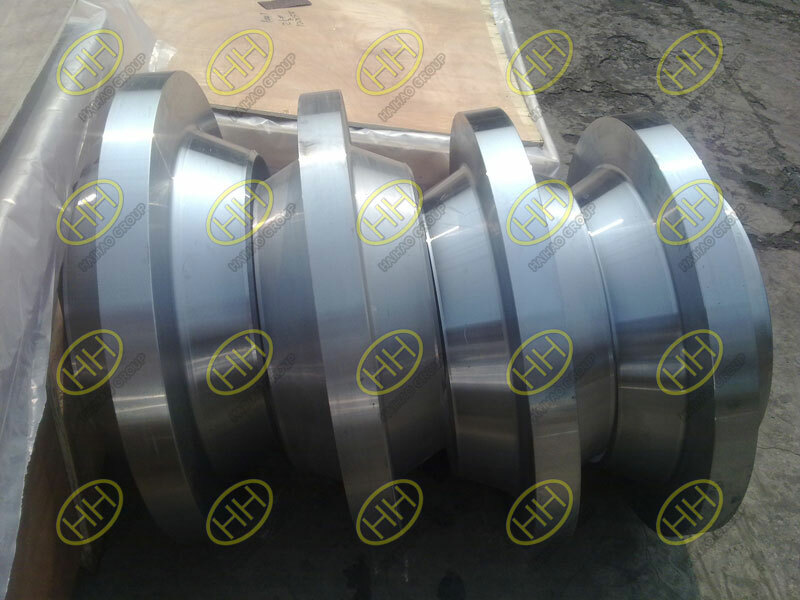 The anchor flange is used to restrain and fasten the piping system,so the material of anchor flange should be in high strength.In our flange factory,the most common anchor flange material is SA105,ASTM A694 F52,F60 and F65 material is also recommended if necessary.If you have any question and need about the anchor flange,welcome to contact us for further information. As we know,the steel piping system could move and shake when the liquid flowing through the pipe,especially when the piping system is turning in some places,the liquid will push the turning in the direction of liquids flowing.Another application of the anchor flange,there may bring expansion movements when temperature is changing in the piping system.Then an anchor flange is installed to combat the axial movement in the pipeline.The anchor flange is commonly secured into a concrete foundation.Besides preventing the axial movement,the anchor flange is also installed when the pipeline crossing from a bridge or river.Among this large distance,the pipe with huge liquid has the tendency to sag,if we use the anchor flange on the both sections of the pipeline,it will secure the position of the pipe. 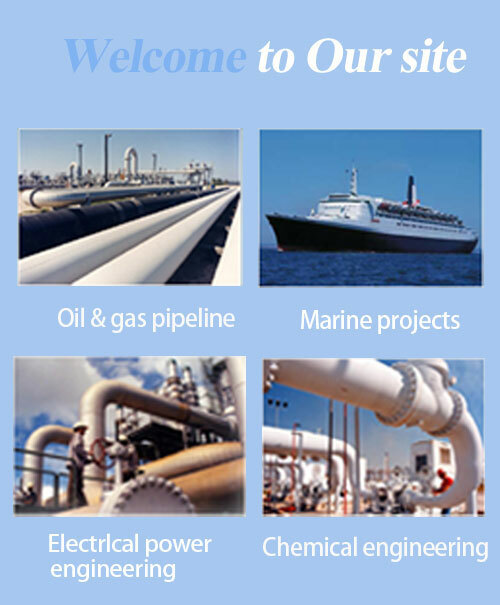 Anchor flange is suitable for the West-to-East Gas Transmission Project in China and the fixed connection of many line valve Chambers.Our flange products are widely used in the following industries: oil,gas,chemical,shipbuilding,water treatment,power plant,steam,construction and other fields all over the world. What is the advantage of stainless steel elbows?